This place in Downtown Disney in basically the “bargain bin.” Normally I love places like this, because I love a good deal. However, this just feels a little depressing and not at all a good value. They stuff some of the typical stuff in here that just happens to be $20 or less. It would be a lot better if they used it to sell clearance or discontinued items are lower prices, not the same overpriced souvenirs that are all over the place. 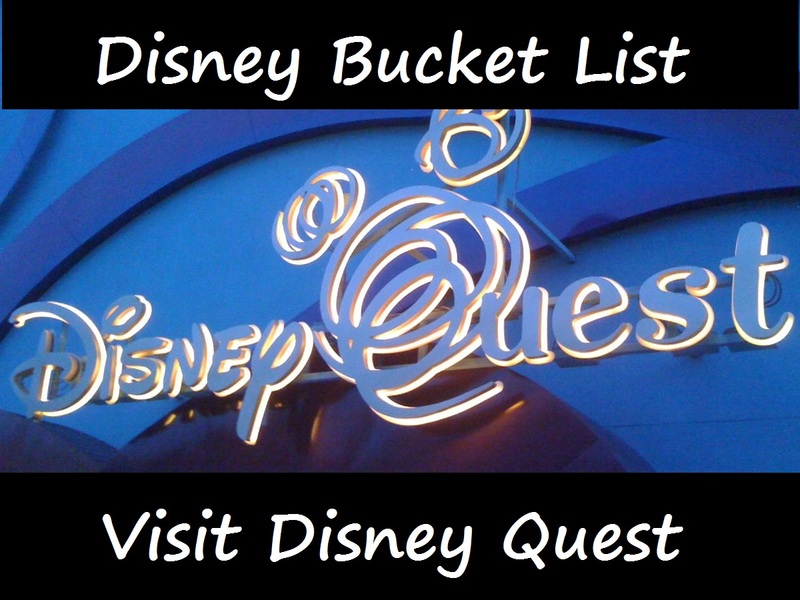 I want to be able to try many of the things that Disney World has to offer, and one of the ones I hadn’t done until recently was visit Disney Quest in Downtown Disney. I hadn’t heard much about it so I wasn’t sure what to expect, and the things I had heard were pretty mixed. Still, it sounded like an interesting concept and since my husband is a video game lover, I thought it might be something fun for us to try together! 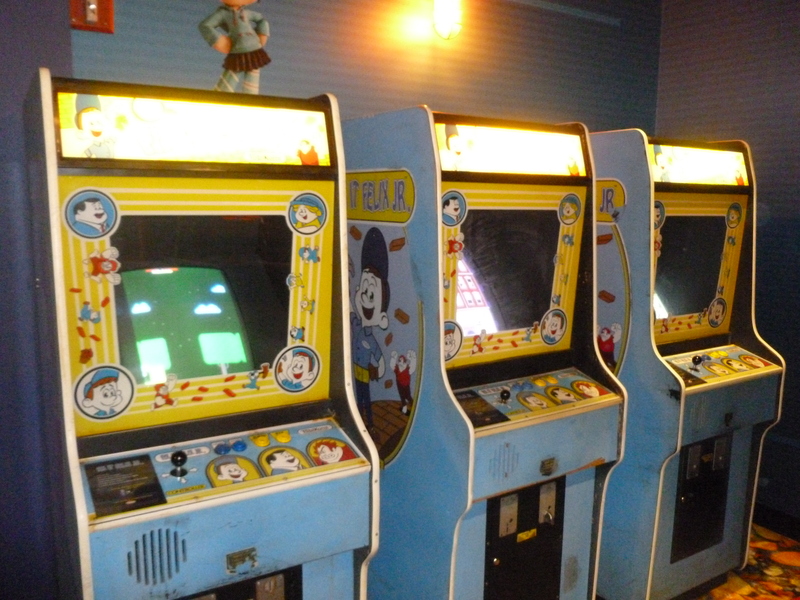 We adored Wreck-It Ralph, and getting to play Fix-it Felix, while a simple game, was a blast! My husband loves old school style video games and this fit the bill. He dominated the high scores and I kept getting Felix killed by the bricks falling on his head. We spent way more time here than I would have thought. It’s a simple but addicting little game. On Saturday, February 22nd, I was in Disney World and woke up at 3am. Why, you ask? 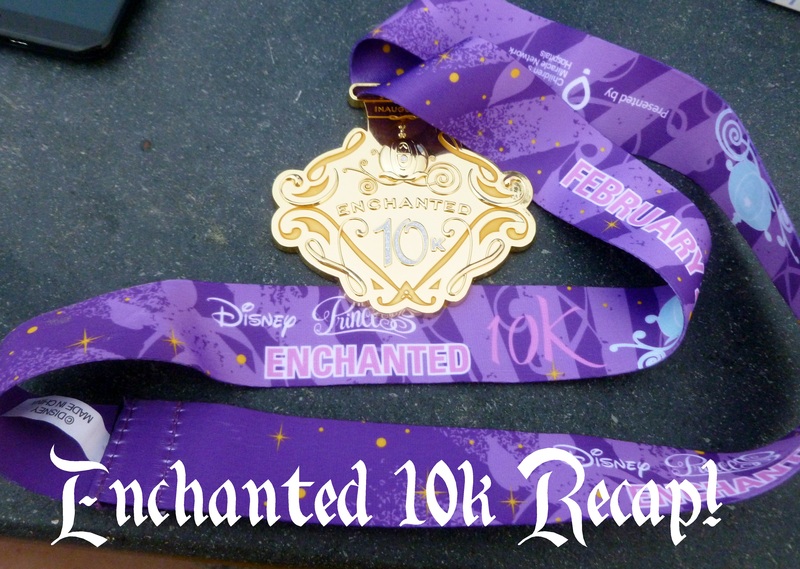 Well, because I was running the Enchanted 10k! It was my first race longer than a 5k and it was an absolute blast. I know lots of people are curious about it so I thought I would write up a quick recap! The day before the race we hit up the expo in the morning. I picked up my bib, shirt, and pin. 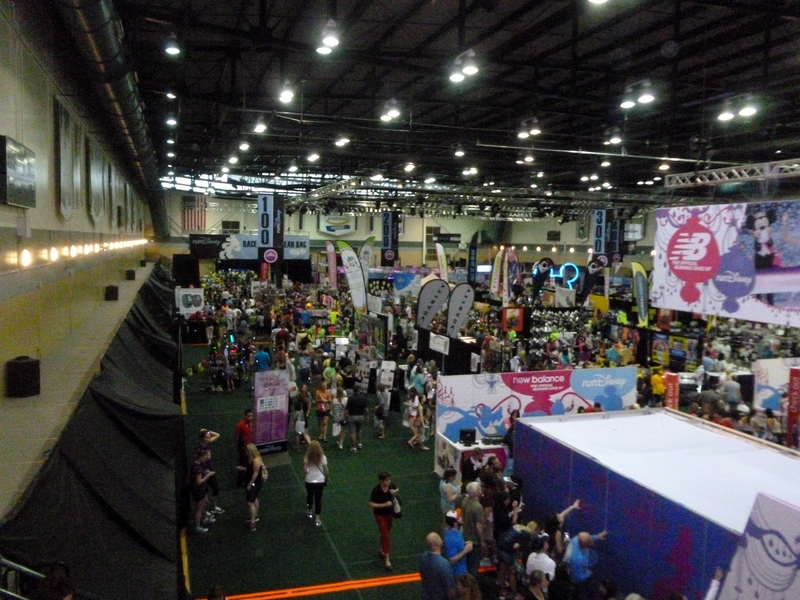 We also looked through all the booths. There wasn’t too much I was interested in, but I did purchase a flip belt to hold some of my stuff while I run. I used it during the race and it worked really well! It came down to two. 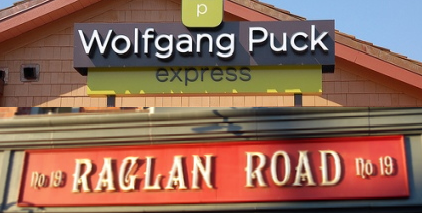 Raglan Road vs. Wolfgang Puck Express. 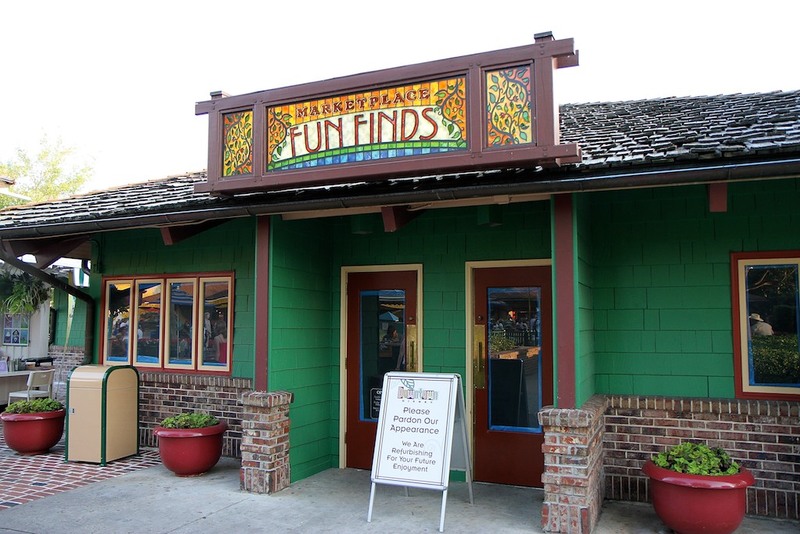 One is a fun, lively Irish pub, and the other is one of the most popular quick service locations in all of Disney World. Which one would be victorious? I’m excited for February, because it means I’m going back to Disney!! Not till the end of the month, but this time I get to be there for over a week. I’m doing the Enchanted 10k and I’m getting a little nervous but also excited about it. We also had the water parks fun and more option added to our tickets, so if the weather is nice enough we’ll do a water park, which I haven’t done in years. And we plan to try some new things, like Disney Quest, mini golf, and riding in the balloon at Downtown Disney! 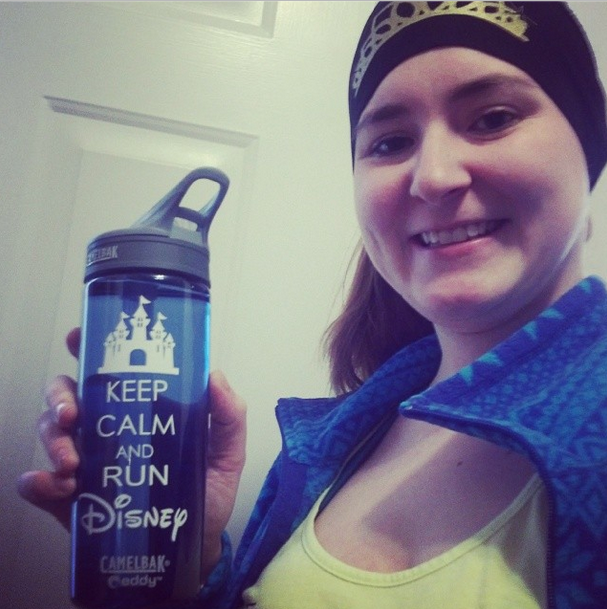 Our giveaway for the “Keep Calm and Run Disney” water bottle was one of our most successful yet! Congratulations to Amanda Enochs for winning, and if you want to purchase one be sure to check out the Etsy shop. 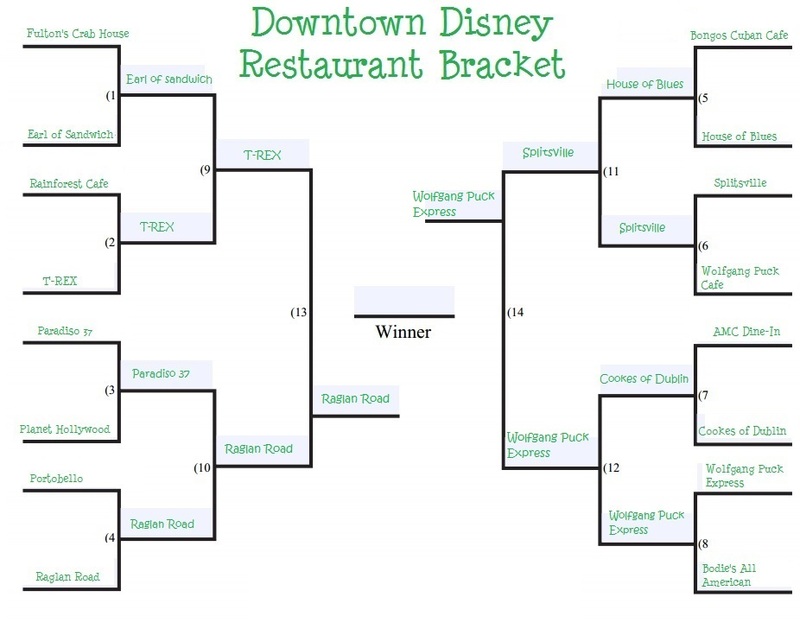 We’ve been doing Wordless Wednesday every week, and we’re almost done with our Downtown Disney restaurant tournament – check out the blog tomorrow to see which one will be victorious, Raglan Road or Wolfgang Puck Express! This month I’m planning to bring you some articles that were on my previous blog which was deleted. I was only able to save some of them, but I’m working on updating them to share here! I also want to add more posts to my Disney Bucket List. It’s down to the last two: Raglan Road vs. Wolfgang Puck Express! We’ve got a sit down vs. a counter service here, so it should be an interesting match up. I’ve actually never really eaten at either (I had a drink at Raglan Road and I did technically eat at WPE, but it was such a bad experience I don’t count it and just pretend like I’ve never been there). Which one do you prefer? Vote now by commenting! This blog was originally posted on Come Home to Disney. Chances are, you’ve probably at least heard of vinylmation, even if you’re not a collector yourself. If it’s something that you’re curious to know more about, or something you’re not familiar with, here’s some of the basics you should know about vinylmation! The name vinylmation comes from combining the words “vinyl” and “animation.” They are small collectibles made out of vinyl that are shaped like Mickey Mouse. However, every vinylmation is decorated in a different way. There are a number of different series and themes – so you could have some decorated like “urban,” including everything from a gnome to an ice cream come, or more Disney-related series such as “Animation,” which features characters such as Baloo, Alice, and Prince Naveen. The majority of vinylmation are 3″ tall, though many series include one or two 9″ vinylmation, and there are also some “junior” series that are 1 1/2 inches tall.